Ryan Lanigan, founder and Editor-in-Chief of HockomockSports.com, provides the game recap for the volleyball semi-final played at Franklin High School on Tuesday. "In a battle of two of the top teams in the state of Massachusetts, the Franklin volleyball team gave everything the Barnstable Raiders could handle. 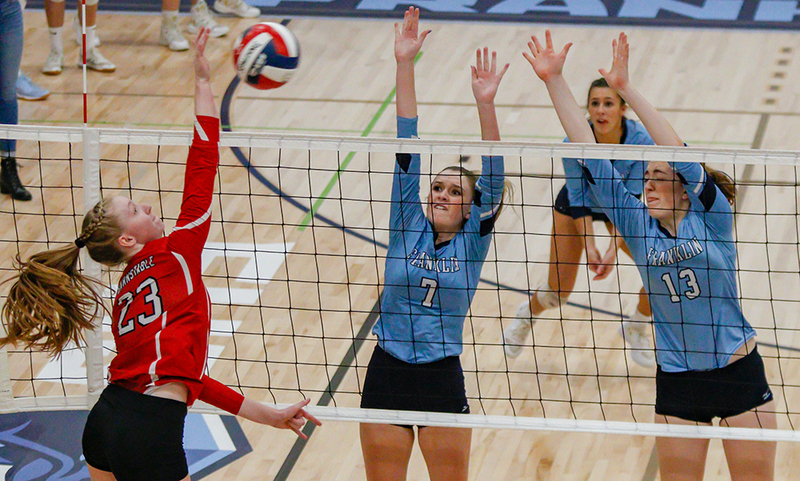 The Raiders are a perennial power in the state, having won the D1 State title 13 times since 2000 and entered Tuesday night’s match without having lost a single set this year. While that didn’t change, Franklin gave Barnstable its toughest test of the season and scored more points (62) against the Raiders than any other team has in 2018."